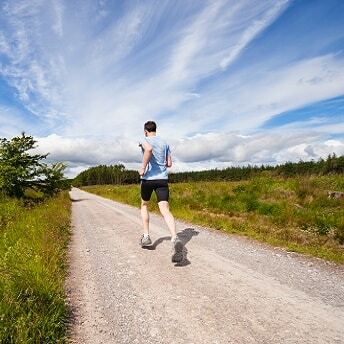 Running is probably the most common physical activity in which millions of people participate every day. There are many forms of running; jogging for general health and fat loss, sprinting for competition or building explosive power, and competing in marathons, this being one of long term goals for many aspiring runners. Probably the most common motivator for people starting a running routine is to lose weight in the form of body fat percentage. Fat loss however is not the only benefit of running. Partaking in a regular running programme brings many other benefits to the human body such as strengthening of the muscles and bones, it improves the cardiovascular system, helps in maintaining an ideal weight, reduces the risk of cancer, and you can expect to burn a few extra calories. To top it off, running is is very accessible to most people, and this is probably why it is such a popular starting point on an individual’s fitness journey. You could spend a few hundred Pounds or Dollars on running equipment such as heart rate monitors, top of the range sports clothing and GPS trackers but the only thing you really need is a good pair of running shoes – which you can often get at places like – “The Walking Company” for a discounted price. As mentioned earlier, running is a popular exercise choice when fat loss is the individuals main fitness goal. Everyone needs to eat in order to get nutrients that provide energy for daily activities, growing, and all of the functions that the body has. All food types have a certain amount of calories associated with them but some food types have very low nutritional value and very high calorie content. These are the foods that you should limit or cut out completely. For the purpose of this post, I will focus on these low nutrition/ high calorie foods. For instance – A large burger from a well-known fast food restaurant, large French fries, and a large Cola contains around 1,330 calories of a low nutritional value and if you were to burn this amount of calories through running alone, you would have to run for two and a half hours. The following figures show how much running it takes to burn a particular amount of calories acquired by eating a certain low nutritional value and calorie dense foods. Although these are the base stats for calories in/ calories out, there are other factors to consider. Everybody is different and calories are actually burned by the passive task of breathing, walking, thinking and even in the digestion of food. The more exercise that you take part in, the more calories you will burn and the more regularly you exercise, the more efficient your body will become at burning calories.This means that you can afford to have the occasional guilt free fast food meal or the odd beer without causing you noticeable, negative side effects when it comes to weight gain in the form of body fat percentage. If you want to use running as your exercise of choice for fat loss, probably one of the best things that you can do is to educate yourself on good food that is high in useful nutritional value and low in useless calories and make this at least 80% of your diet. By doing this, you will ensure that you get the most out of your running sessions.